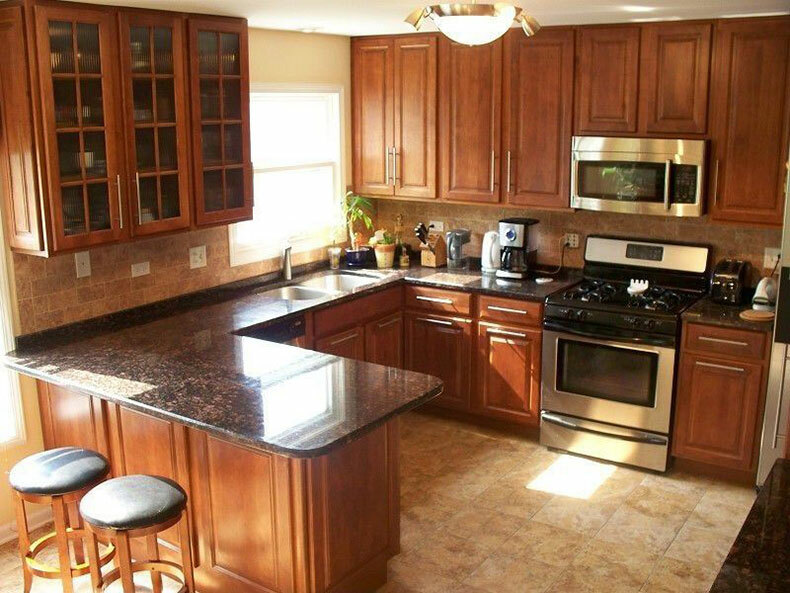 Brown granite has such a broad color and mineral spectrum, and it can be hard to pin down the best one for your remodel. 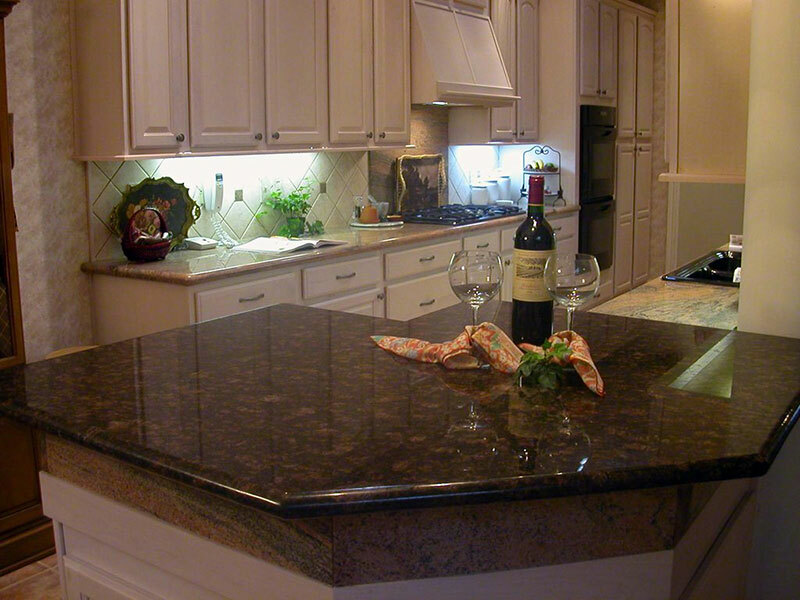 We love Tan Brown granite for its ability to look amazing from a distance and up close. 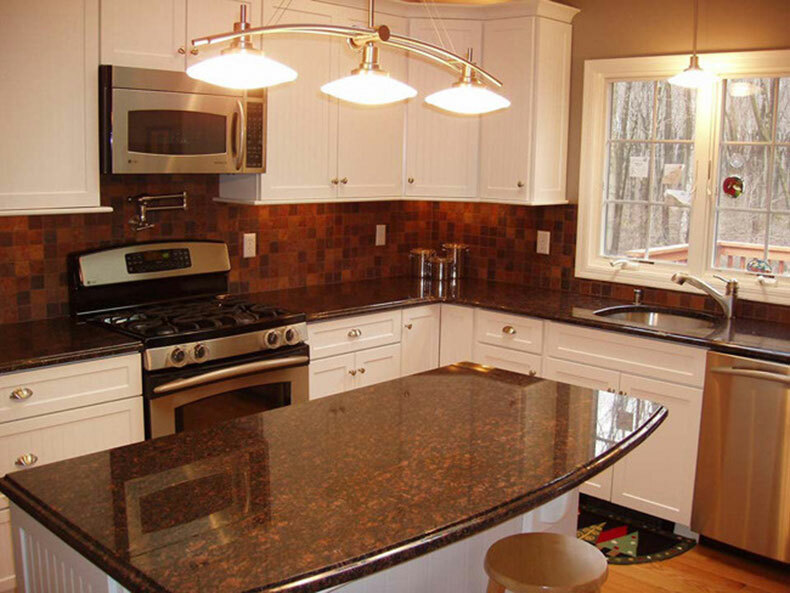 What is Tan Brown granite? 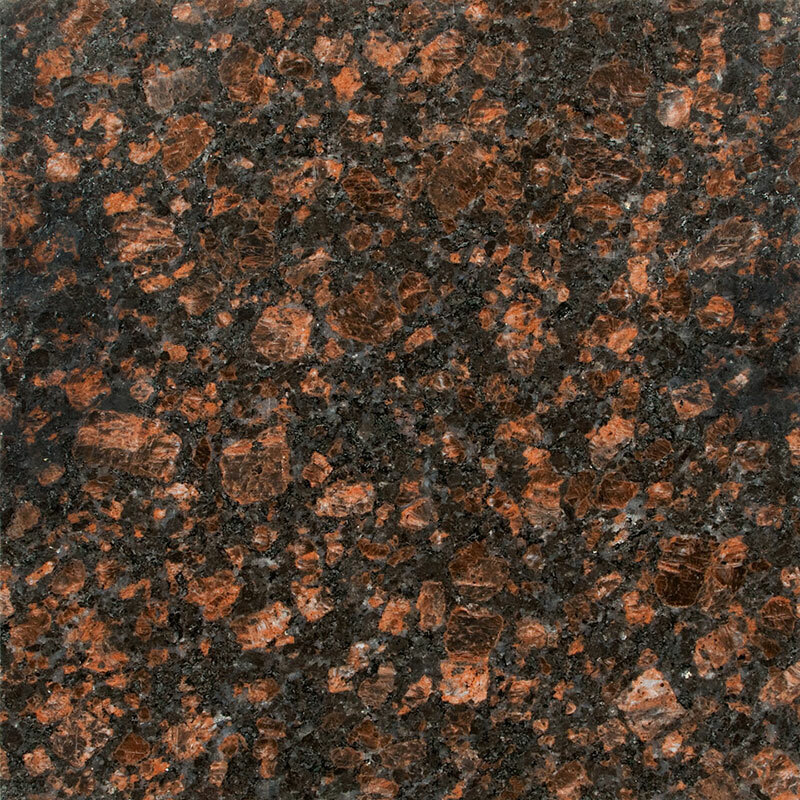 Tan Brown granite comes from the southern region of India and is one of the more popular brown granites on the market. It has a striking color scheme that can really draw attention to the room. 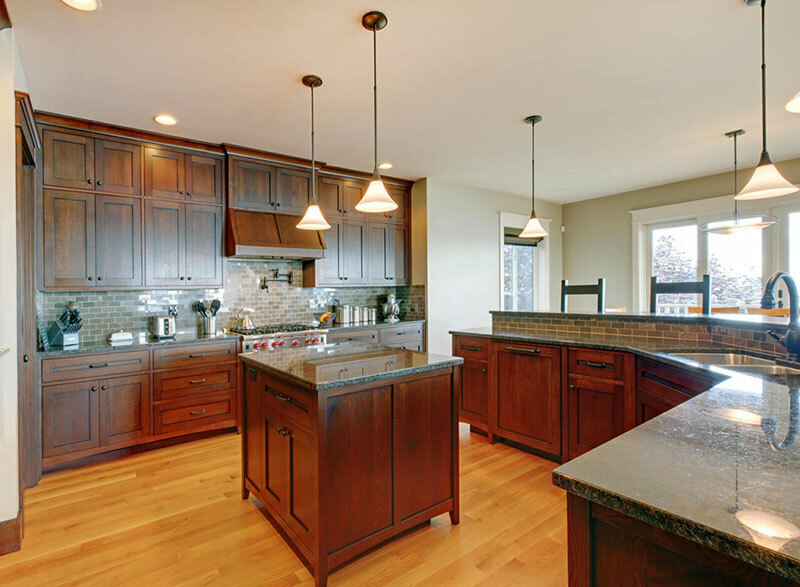 Depending on your cabinet color choices and lighting conditions, Tan Brown granite is a dynamic stone. The overall appearance has a consistent mineral content, but you may see larger “islands” of light brown and red minerals among a background of blacks and dark browns. What Color is Tan Brown Granite? This stone has two primary tones: black and brown. The black creates a backdrop for the brown minerals to sit upon. From a distance, the stone looks dark brown, but when you look closer, you start to see complexities arise. The black begins to stand out against the browns, and you’ll start to notice flecks of gray, which help lighten the overall tone, and browns give way to reds. Approximately half of the stone’s mass is in the browns ranging from coppers to chocolates, giving an overall coppery appearance. Quartz dots the stone, offering a much-needed reflective quality to bring light to a large surface area. Depending on your level of polish you can expect some sparkle, though this is not the dominant feature. You won’t see a huge degree of variation, but do be sure to inspect your slab carefully before you make a final purchase. Some slabs will have more of lighter browns, which has a very different character than slabs dominated by dark browns. If you have great lighting, it will bring out the red and light brown tones more and have a different look than in dimmer light. 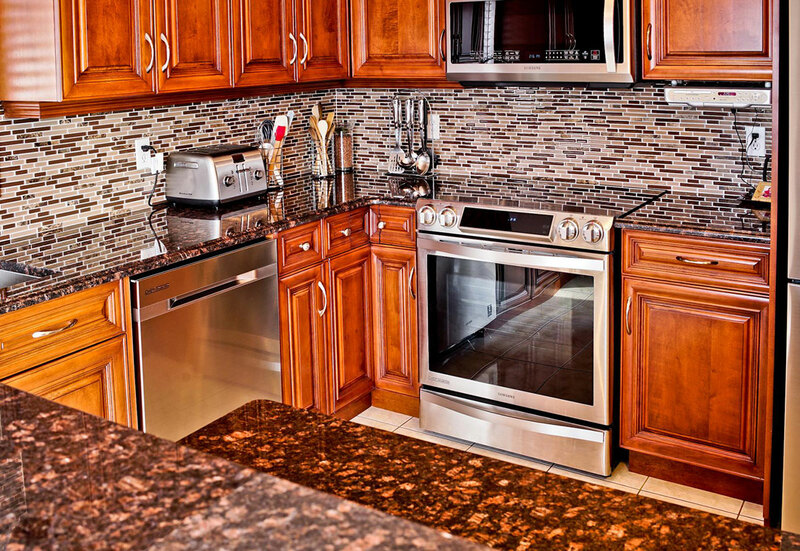 What Cabinet Colors Goes Well with Tan Brown Granite? 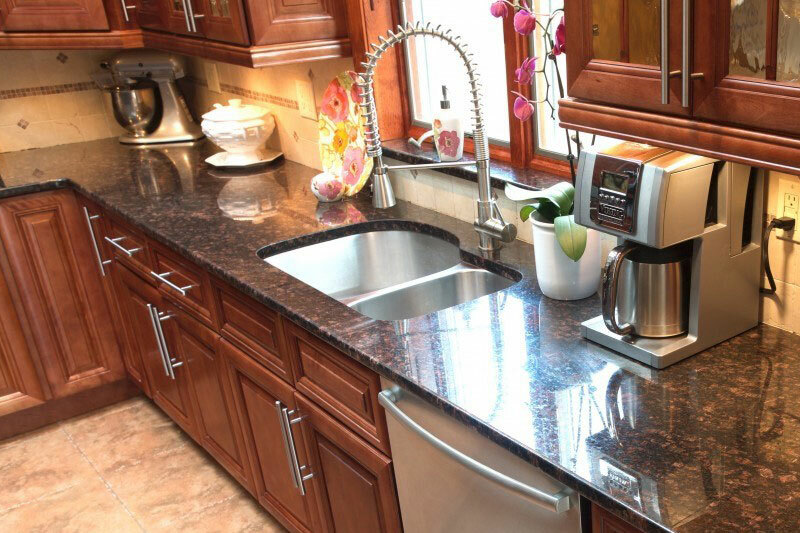 One of the reasons Tan Brown granite is so popular for countertops is that it goes well with many cabinet colors. For a kitchen that makes a statement, try white or cream cabinets. 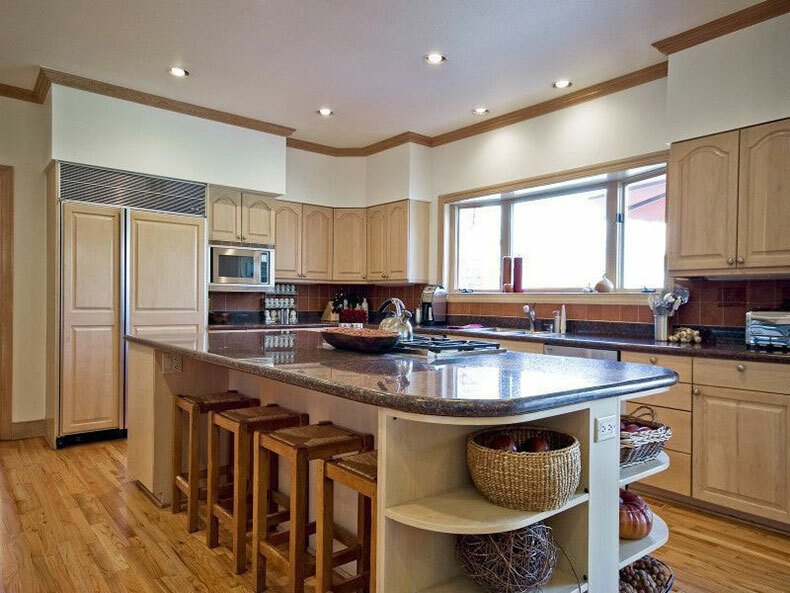 You can’t help but admire the countertop. 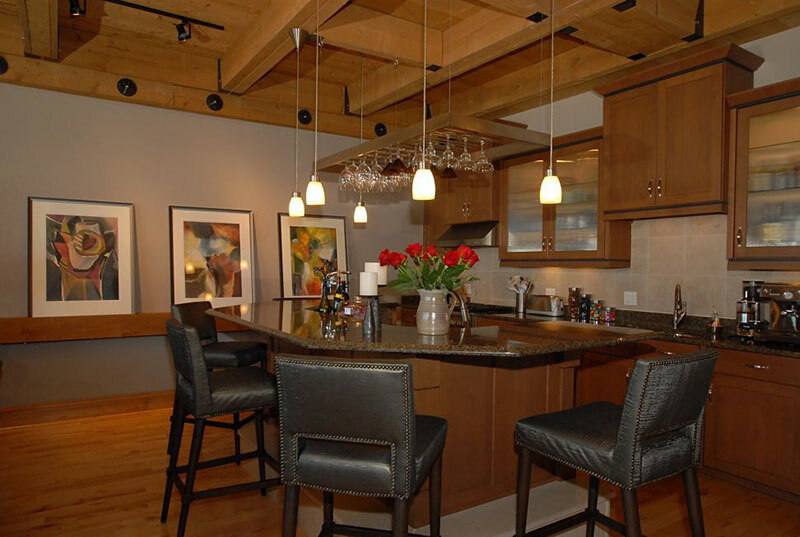 The brown tones keep the space from feeling too contemporary, and it can create a nice effect. 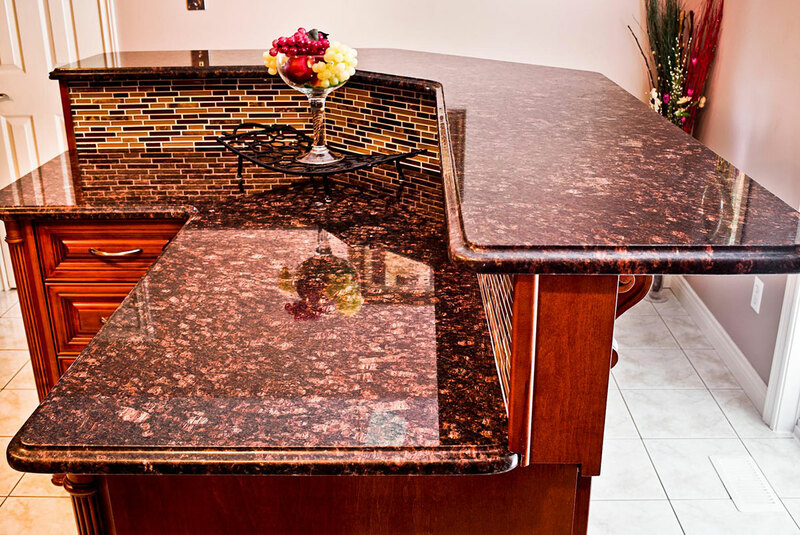 For a more understated look, try pairing Tan Brown granite with darker colored cabinets like maple or cherry, which will blend with the countertop, creating a beautiful, clean look. 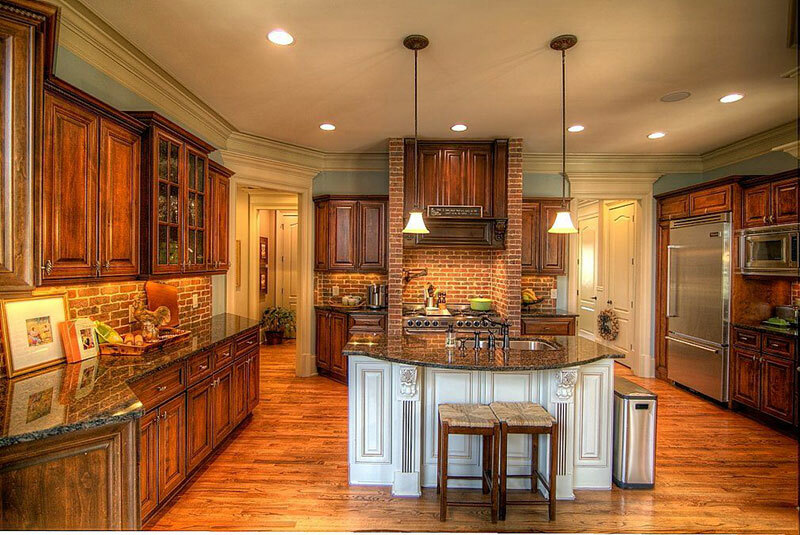 For a darker effect, you can partner a Tan Brown countertop with even darker cabinets and allow the Browns to pop really. If you fit a sink, whites and aluminum create a striking look against the stone. 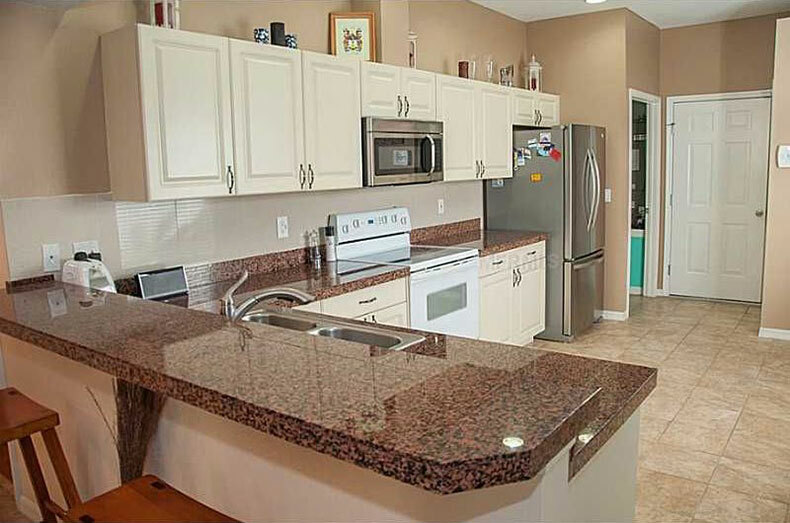 How Much Does Tan Brown Granite Countertops Cost? This stone type is relatively popular and on the high end of moderate pricing. A 3 cm thick slab will cost between $45-55 per square foot, and a 2 cm thick slab will cost $30-40 per square foot. Pairs nicely with many cabinet colors. The darker color shows off fingerprints, so you have to clean often. 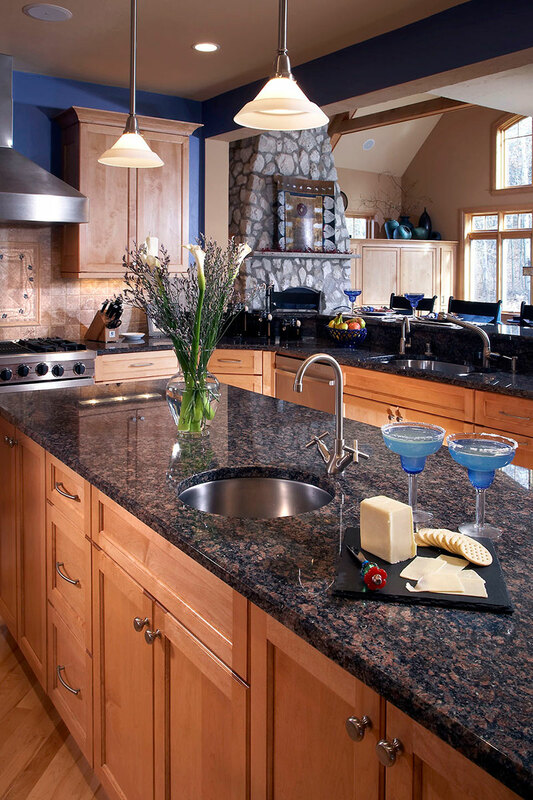 We love Tan Brown granite for countertops for its consistent, yet dramatic appearance that looks great in a variety of kitchens. 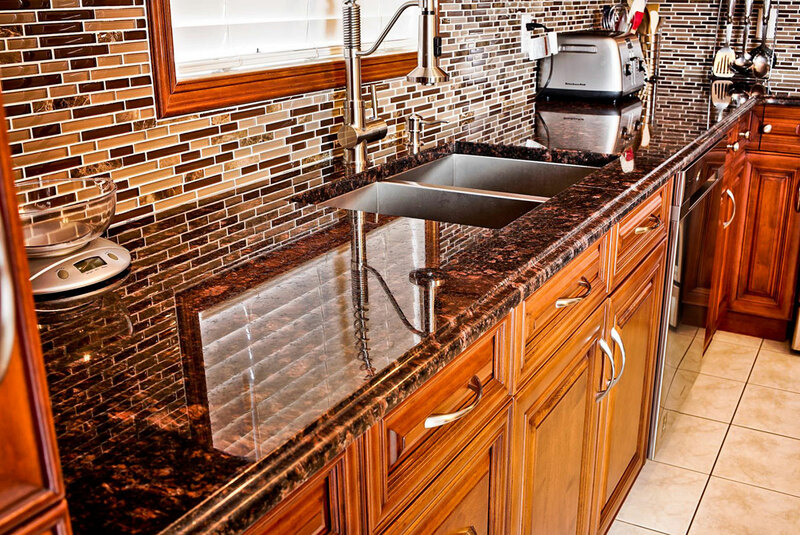 The blacks and browns create a strong contrast while still maintaining some sparkle that can add a strong personality to your kitchen or bathroom. 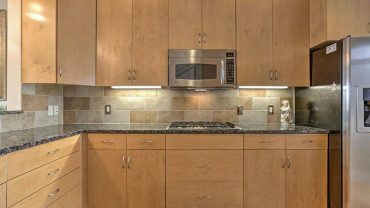 Backsplash ideas for tan brown granite countertops.